Many of us have been hoping for a PS4 Star Wars Battlefront bundle to drop leading up to the release of Star Wars Battlefront, and it looks like our gaming prayers have been answered. This afternoon, the PlayStation Twitter account teased us with the first images of a PS4 Limited Edition Star Wars Battlefront Bundle that features a Darth Vader-themed PS4 and controller, a pack of classic Star Wars games, and of course, Star Wars Battlefront (full details can be found on the official PlayStation Blog). Don’t worry, I’ll be adding this to our definitive list of PS4 Bundles as soon as I recover from this news. The Limited Edition Star Wars Battlefront bundle comes with the Darth Vader-themed console and controller, Star Wars Battlefront, and 4 bonus games, including 16-bit classic Super Star Wars, all with feature-enhanced graphics and Trophy support. 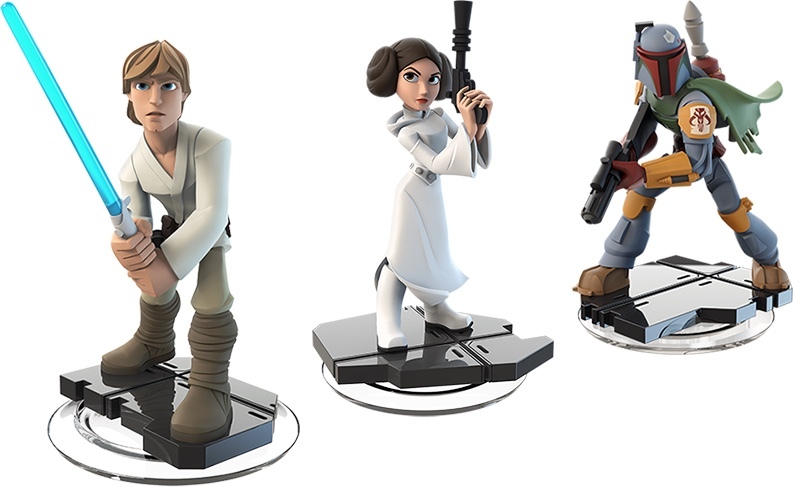 It also includes everything you need to get started with Disney Infinity # and gives you a head start on collecting all of those new Disney Infinity 3.0 Star Wars figures. Let’s quickly review: a custom designed Darth Vader PS4 and controller, retro Star Wars games, and Disney Infinity 3.0 game/playset with collectible Star Wars figurines?! This is how you do console bundles and this is how you create lifelong super fans. And now I’m going to take a nice long walk because I was not ready to nerd out that hard on what was supposed to be a quiet Sunday afternoon.